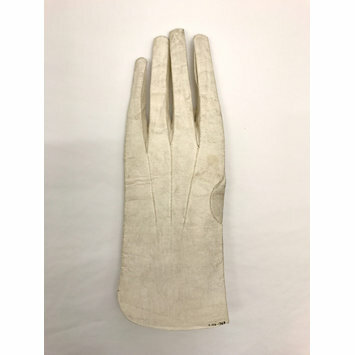 Pair of men's white kid gloves. Over wrist length with a plain rounded cuff. The thumb has a rounded base extending into the palm. The fingers have small arrowhead gussets. 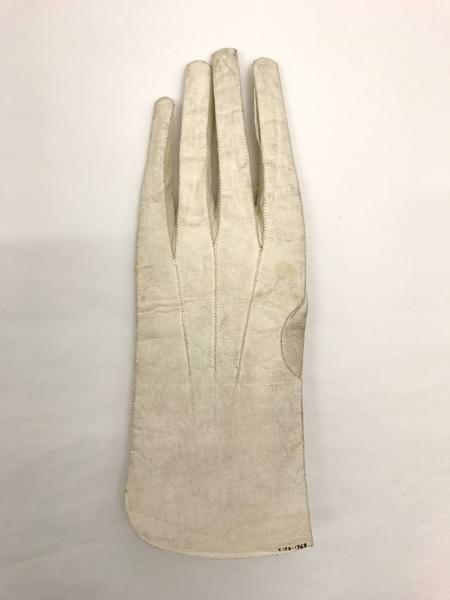 There are three whipped seams on the back extending from the base of the fingers inwards towards the wrist. The stitch marks around the cuff suggests that this too might have been whipped. Inside one of the cuffs is '1-3' marked in ink. The other was stamped with a circular monogram with 'fine kid' stamped inside. 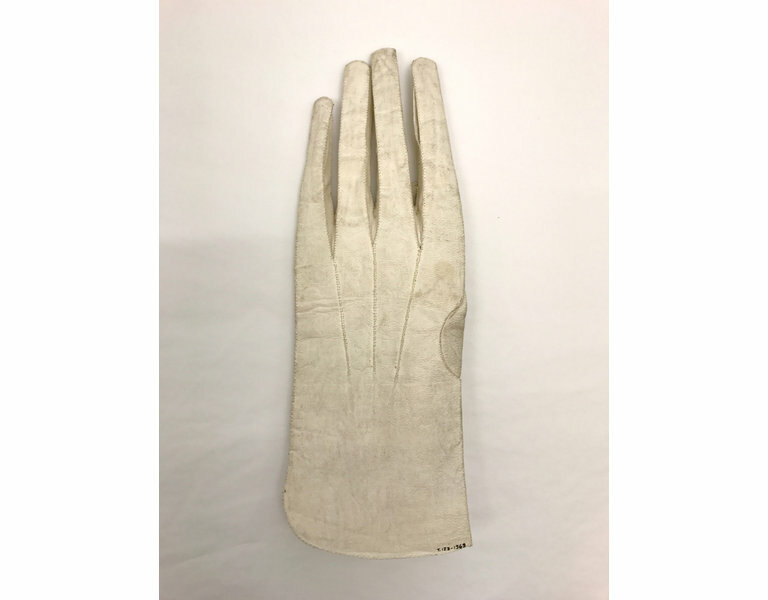 Pair of men's kid gloves, England, 1730-1760.